Star Wars™, as the name suggests, revolves around epic military battles. 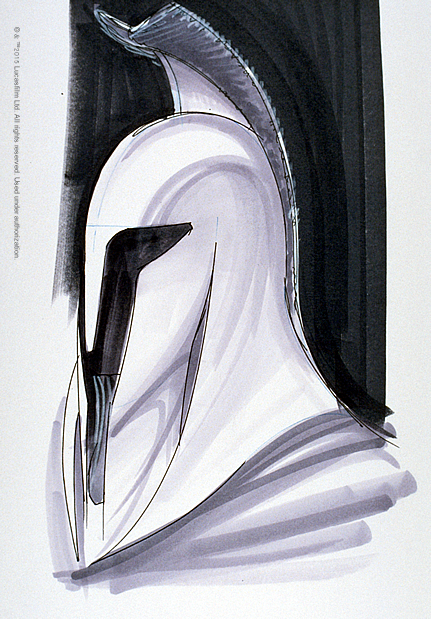 The appearance of a wide range of soldiers—futuristic though somehow familiar—is a central feature of the saga. 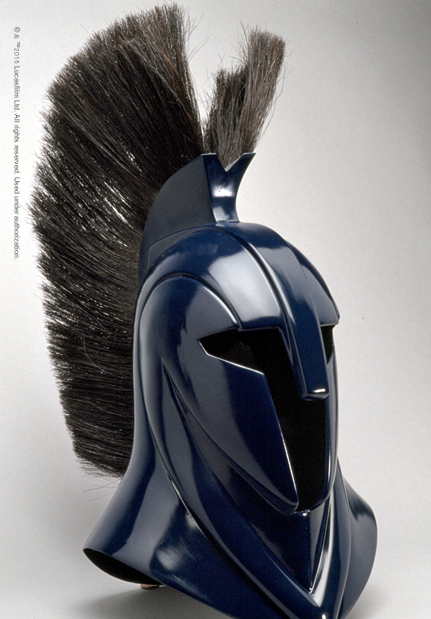 Getting the military look just right was a key priority for George Lucas, who hired military historian and costume designer John Mollo to help realize his vision. 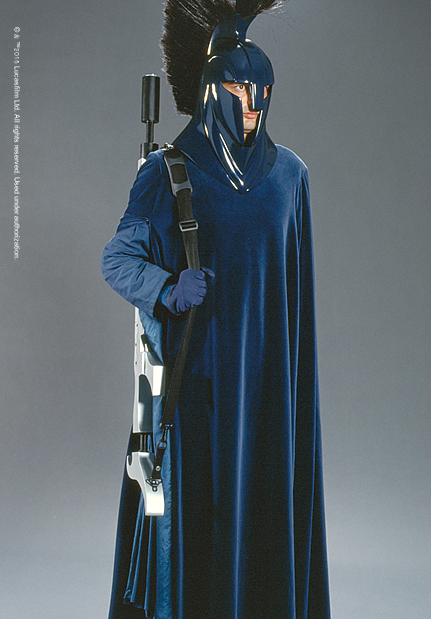 The striking velvet robes of the Senate Guard is combined with the gleaming blue mask and helmet, which features a large plumed crest. Much of this gear was ceremonial rather than functional.